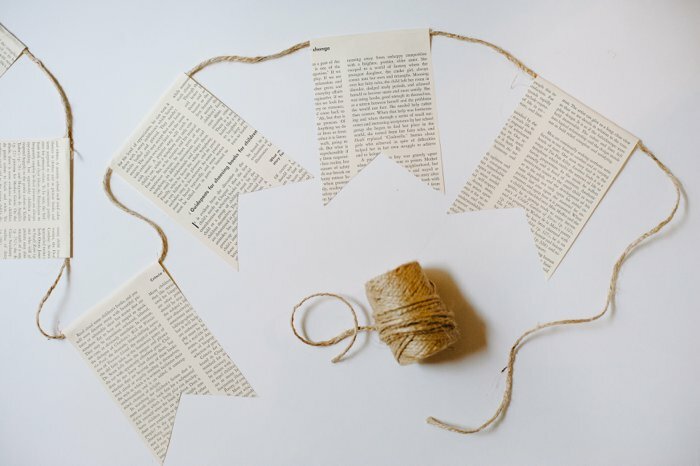 An easy DIY tutorial on how to make a book page bunting. 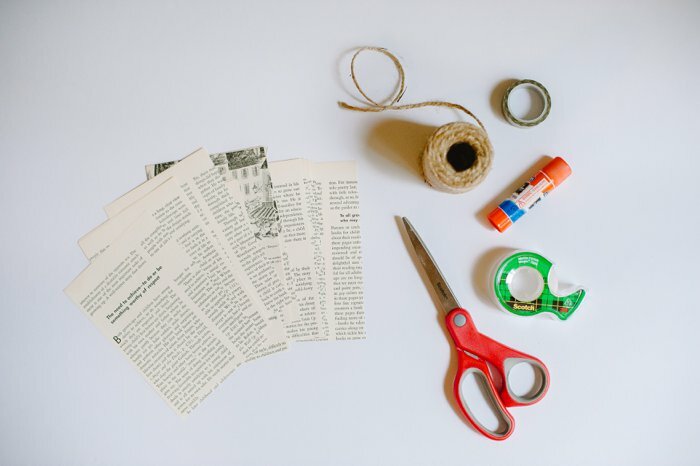 Using old book pages, you can make a rustic chic banner in less than 15 minutes! 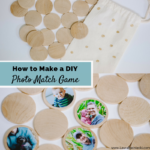 PIN THIS IDEA FOR LATER! 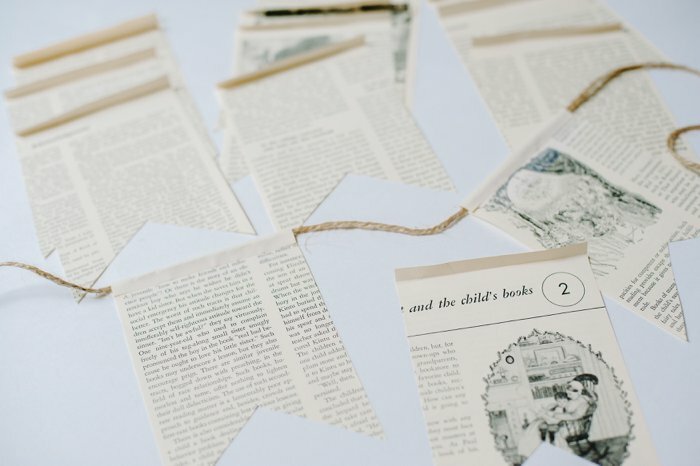 Book page crafts make my heart beat fast and make me giddy inside. It’s actually hard to explain how much I love anything made out of the pages of a book. Some people think cutting up books and making crafts out of the pages is horrific. They are book lovers and they think it’s a huge shame to wreck a book. I’m a book lover too, but I take a different viewpoint. The vast majority of old books end up in the recycle bin, the landfill, or they end up lost in the abyss of a thrift store, never to see the light of day again as they fester with mold and mildew. So to me, making crafts out of old book pages is actually SAVING books, and giving them new life. I think it’s actually an ode to my love of books; it’s in honor of my love of reading. Plus, the books I’ve used to make book page crafts have been freebies I picked up from the FREE box outside my local library, and ones that were destined for the recycle bin after an infant Raleigh wrecked havoc on them during his obsessed-with-the-book-shelf phase. 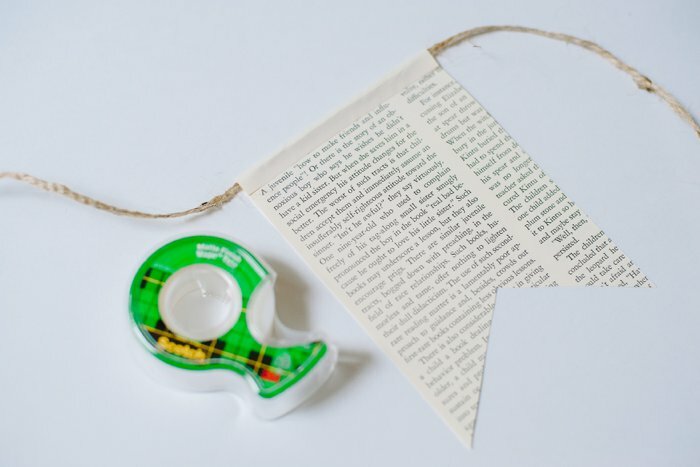 There’s something rustic, pretty and sentimental about crafts made with book pages. 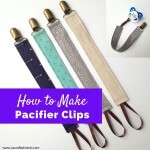 I can’t quite define what it is that I love so much, but I am constantly thinking up ways I can use the pages and what crafts I can make with them. One of my all time favorite book page crafts is the huge book page wreath I made for our living room. 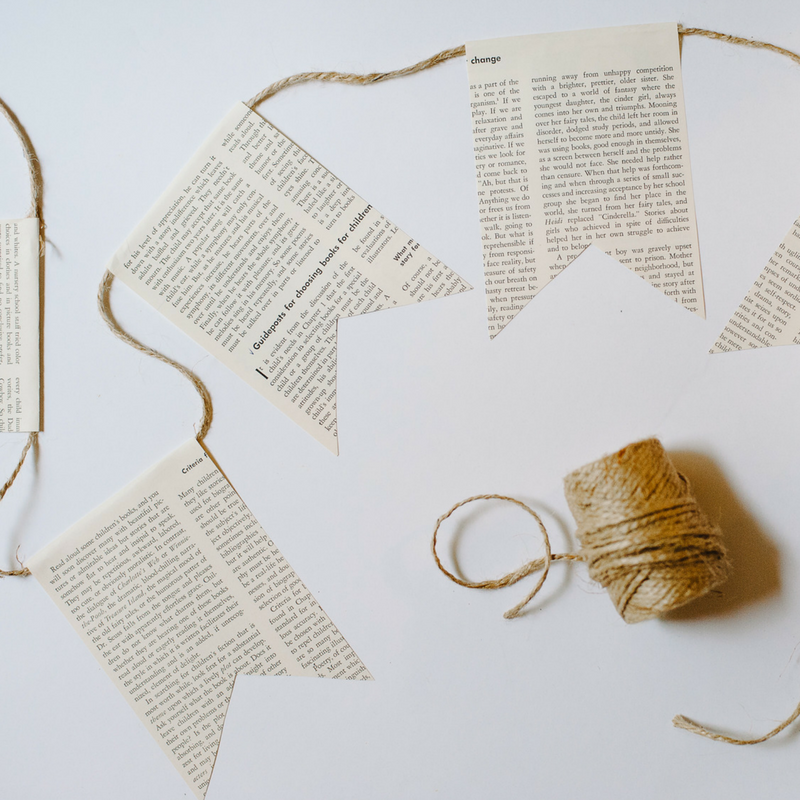 Here is a super easy, cute book page craft that takes hardly any time at all: a book page bunting. Some might call it a book page garland, or a book page banner. Either way, it’s adorable and a breeze to make. It can also be embellished to fit any holiday or party theme. Let’s get to it! 2. 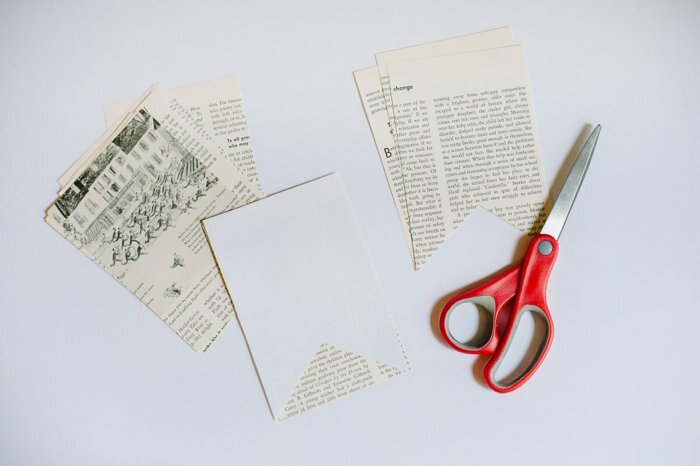 Cut the book pages into desired bunting shape. I decided to do a flag shape for my book page bunting. I cut the book pages into 4×6 inch rectangles using my paper-cutter, and then cut a notch into the bottom of each one with scissors. Some people use simple triangles for their book page garland and that looks good too. If I was doing triangles, I would have cut them to shape with my paper trimmer, and not used scissors. I first made a template out of a plain sheet of white paper. 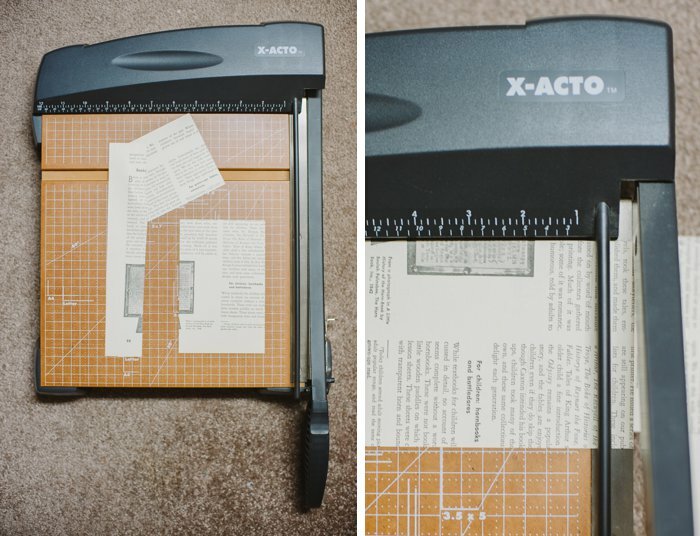 Once it looked perfect, I used it to cut several book page rectangles at the same time into the notched flag shape. 3. Fold the top of the book page flag over. Fold the top of each flag over, about 1/4-1/2 inch. 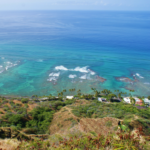 This is where your twine will lay. 4. Put a line of glue in the crease you just folded, and lay the twine down. 5. Secure the folded flap, over the twine, with clear tape. Fold the flap back down, and tape it down. The bunting could probably be made without the #4 glue step, but then the flags might slide around on the twine. Using the glue first and then taping the folded flap down, helps anchor the flags to the twine. 6. Repeat with each flag, leaving desired space between the flags. At first, I thought I would need to leave a big gap between each flag. But I quickly realized it looks way better with less space between the flags. It’s somewhat a matter of preference, but I ended up using a distance of 3-3.5 inches between each flag. I used the length of the book page flag as a guide, and went a bit less than that, for the space between each one. You can make them closer together if you like that look better. Once you’ve attached a few, you can hold the garland up and see how it looks. 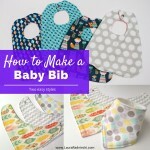 If you think they need adjusting, you can slide them around if needed, before the glue dries. 7. 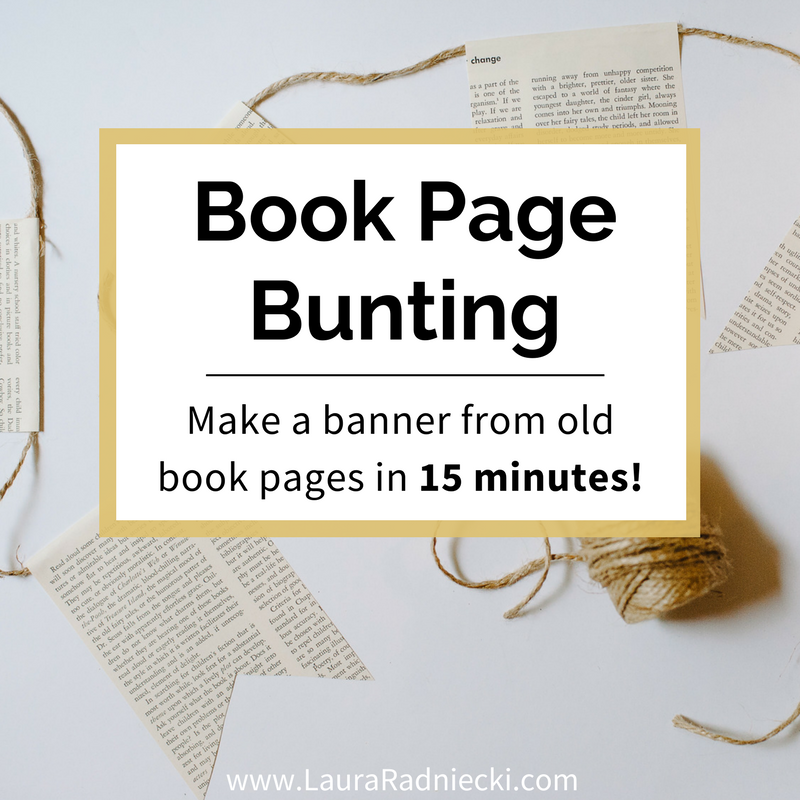 Continue adding flags to the book page bunting until you’ve reached your desired length for the book page banner. Keep going until your book page garland is as long as you want it to be! 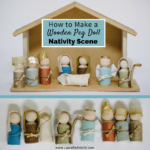 PIN THIS CRAFT FOR LATER! 8. 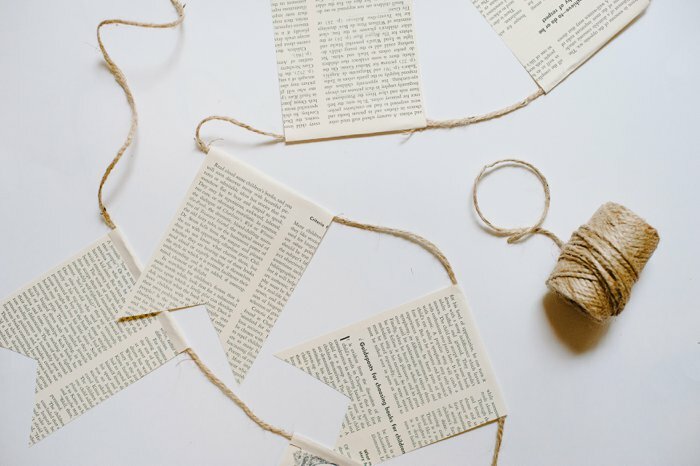 Hang up your book page garland and enjoy! I used washi tape to secure my book page banner to the mirror in our kitchen. The tape works well because the garland is so lightweight. You could also use command strip hooks, push pins or small nails, depending on where you want to hang yours. 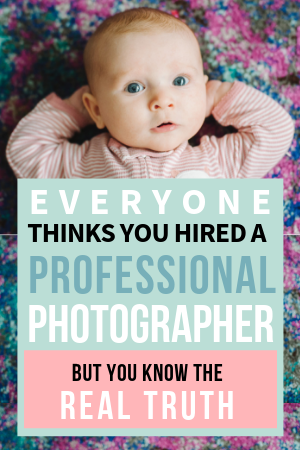 If you’re using a hook, pin or nail, tie a small knot or loop at each end of the banner and secure! 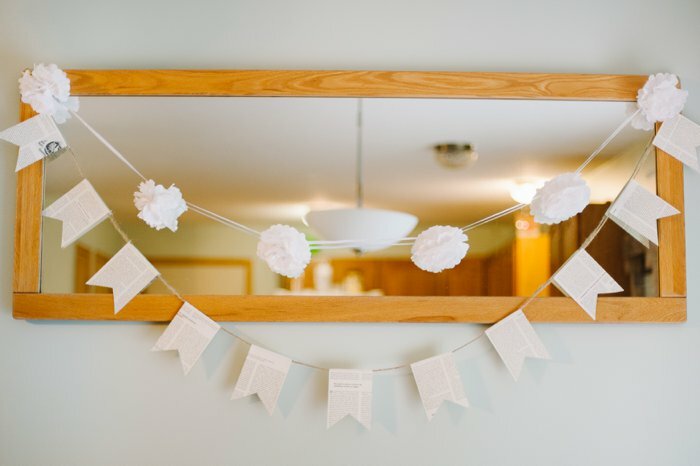 This book page bunting is classic and simple enough to be extremely versatile. It looks great as an everyday home decor banner. The colors are neutral, so they match EVERYTHING. 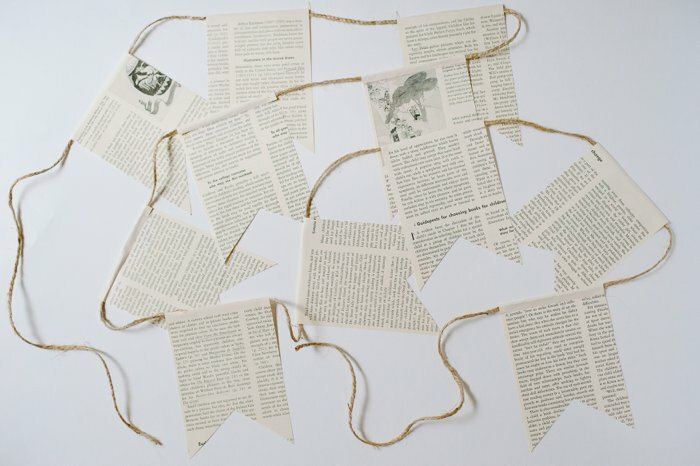 The book page garland acts as a blank canvas too, beckoning to be spiced up for the holidays. I have plans to add autumn-colored leaf cutouts when fall comes, and Christmas colored embellishments when the holidays roll around. The sky is the limit with it comes to customizing this banner! 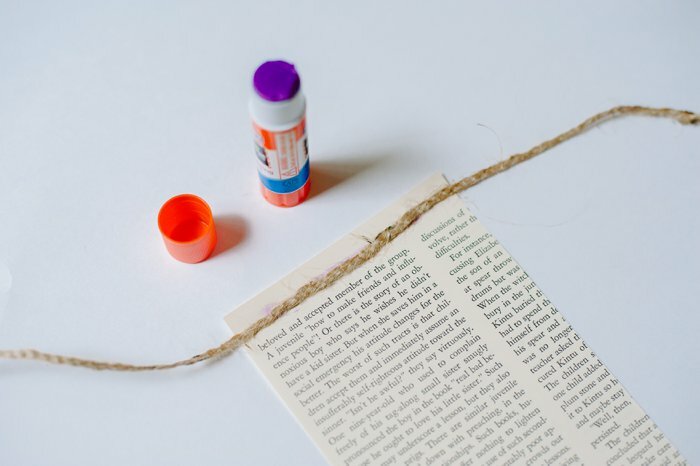 With an old book, twine, glue and tape, you can make a handmade book page bunting in less than 15 minutes! Go try it! 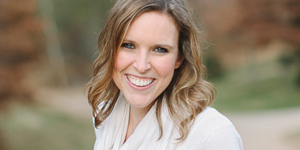 Baby Shower Essentials | A Mommy Scene Giveaway!